Milly England works as a personal assistant to Mr Michael Hii. Since joining us in 2016, Milly has quickly become integral to the working environment of our busy practice and serves as one of the first points of call for patient enquiries. She will assist you in arranging your appointments with the doctors and other health staff, help book your investigations, and assist you throughout the process of organising your surgery. 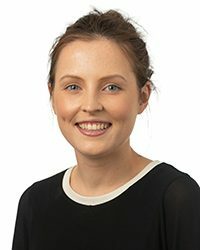 With previous experience in both specialist and general practice, Milly has a well rounded understanding of the private health sector and a keen interest in personalised patient care. Most importantly, she is committed to ensuring that efficient, caring and professional customer service is provided to all patients of MGOS. Outside of work, Milly is a practiced opera singer and enjoys going to music festivals and gigs with her friends.